Hair fall is a problem with people from all age group now days. As young as 21 years man can experience hair fall. Hair fall can be due to many reasons like ‘natural, genetic, hereditary, male pattern baldness, diet, lifestyle, pollution, and many more’. Hair replacement is getting popular with every passing day. The reason being ‘male pattern baldness and female pattern baldness’ is leading to many people suffer from social embarrassment. Often the hairs either experience ‘thinning, bald patch at the crown, receding hairline, and split ends’. Both male and female are equally suffering from it. Hair replacement system is a simple process. It’s not complex, but meeting the need of people. Since 1900’s it’s getting popular and in demand for concealing hair loss. The hair replacement is a patch developed by the method of ‘human or synthetic hair woven onto a lace, monofilament, or ultra-thin skin’. Later, during non surgical hair replacement procedure, this patch is attached to human head with ‘tape, skin friendly adhesive, or weaving’. The hair looks natural, and is not at all detectable, whether it’s real or not. Always look for the best finished patch. There are variety of patches available, different size, color, and finish. Depending on all the factors, some are poorly made, some average, and some are outstanding pieces. The right size should be ordered or recommended by the expert. The size should fit the head. So it looks natural and undetectable. The next step is to apply the right color patch. The right color will help your look natural and match the hair color of your real hairs. One should also opt for the right density of hair. The density of hairs should be chosen on the basis of age. Opting for hair patches, which are very thick, can become a problem for individuals to look natural. Fixing the hairline is very significant aspect, because fixing it too high in forehead can make it look a bit unnatural. So, it should be exactly fixed at the point where your hairline use to be. Hairline should be transitional. The reason is nobody’s hairline is straight, it’s rather irregular. So, always ensure your hair replacement center is providing the right hairline. Wig is a piece of hair, which fits all head size. It’s not even customized. Neither has it had other features like ‘matching of hair density, color, size, and shape’. It even doesn’t consider the hairline aspect. Trichologist doctors say ‘hair replacement system is a procedure, which is designed as per individual’s requirement. Hair replacement and wig may help in concealing hair fall or baldness; thus, they both may have same purpose, but are different. 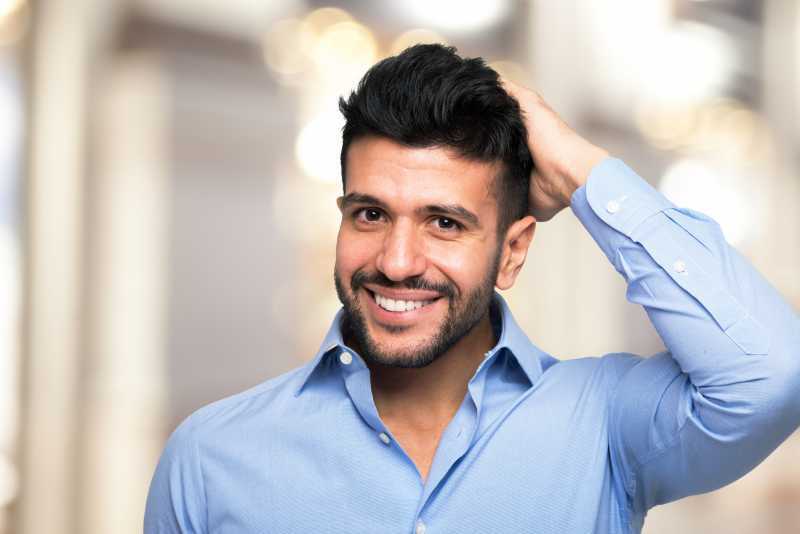 Hair replacement system is more advanced, and gives natural looks to your hair, thereby adding up to your personality.